National Award winning actress Kangana Ranaut has acted in one of the most popular travel based Bollywood films ‘Queen’, but did you know that Kangana herself is addicted to traveling? She loves traveling, is a globetrotter, and makes sure she visits at least three new places every year. And shed doesn’t mind going all alone, in case she doesn’t find a companion. Kangana, who loves her own private trips around in the world, says that the first few days of travelling alone are always a bit difficult. You worry about things you have left behind, your work and commitments. But slowly your apprehensions evaporate as you soak in the sights and sounds, and stop behaving like a machine. Where was the first trip? My first trip abroad was extra special — it was to Korea when we shot for my first film Gangster. Even though I was not by myself, it was such an exhilarating experience. When I landed there, I realised how different this other world was. I could not understand the language at all, and they don’t understand even basic words in English. What do you do on your getaways? Explore! Recently, when I was doing a screenplay writing course in the US, I used to travel to the academy by train. I would sit next to strangers and start a conversation with them about their lives. Sometimes it’s great to be part of the natural processes of life. I have been on trains only in my movies and it’s so different from the real thing. Such journeys keep you real. Where do you go when you want to be alone? “I like to go to Europe or the US where people don’t recognise me, although some of them do have that ‘I have seen her somewhere’ looks on their faces and it’s fun to see them wonder where they have seen me before! I would love to go to Las Vegas on a solo holiday. I would also like to go to Brazil. That city is loads of fun. People have much to say against French people. But I think, under their arrogant facade, they are people who really enjoy themselves and once you have learnt their ways, they welcome you with open arms. I love the way the people of that city dress up. It is inspiring. I try and take a break in Paris at least twice or thrice a year. For her honeymoon, Kangana Ranaut would love to go to Paris! I also went to Florence by myself once. I would spend several evenings in cafes, writing, with a cup of coffee for company. And what do you do while on a holiday? I walk, I trek, take pictures… And I write a lot — mainly stories. I like to see history, it always excites me, which is why I loved Florence and Rome. I also like shopping for clothes; for that I go to New York or Milan, maybe Paris or London. I love taking buses and standing in queues. I’m not someone who wants attention lavished on me. Three or four T-shirts, shorts, jeans and a pair of running shoes if I am going by myself or backpacking. But it also depends on where I am going. I can’t stick out like a sore thumb wearing loungewear in London! Travelling for work is never easy, but we do get to see beautiful places. I was in Abu Dhabi recently for a shoot. It had never figured on my list of places to visit but I was pleasantly surprised by this part of the world. It’s got a nice vibe about it, and very laid-back energy. It is very hot though! I couldn’t do the place much justice while I was there–so I intend to go there again. People all over the world are crazy about films, and if an opportunity arises to catch the action live on a film set, I’m sure everybody would jump at that opportunity. 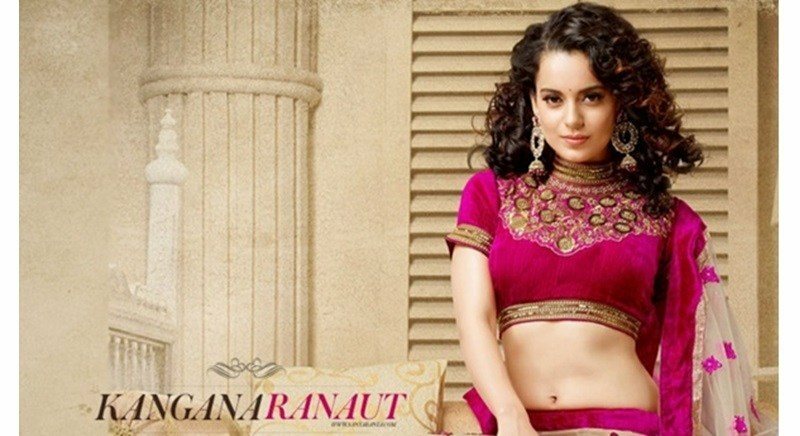 Kangana Ranaut’s friends, based in London, were the lucky ones as they were invited to catch her in action during the shooting of the sequel of ‘Tanu Weds Manu’. After shooting in Delhi and Haryana, the cast and crew of ‘Tanu Weds Manu Returns’ filmed in London. Kangana has a lot of friends in London who were keen to understand the film-making process and watch how a Bollywood film is shot. Kangana took special permission from director Aanand L Rai to invite her friends on the sets, and the director happily obliged.